The majority of Norwegian immigrants lived in the farming communities of the upper Midwest making their homes in the states of Minnesota, Wisconsin, Illinois, and North and South Dakota. They settled in cities such as Brooklyn, Chicago, Minneapolis, and Seattle. Once the first Norwegians came to an area, others often followed, particularly after the Homestead Act of 1862 that made Minnesota land available almost free for the asking. Norwegian immigrants developed commercial fishing along the North Shore, worked in the Iron Range mines and offered trades needed in their areas. Why did Norwegians leave their homeland? In the 19th century, Norway was a difficult place for the common folk. Its population was increasing and they were squeezed onto the slivers of land that could be cultivated — only 3 percent of the country. Farm mechanization pushed out landless laborers, and a rigid social hierarchy gave them no chance to improve their situation. So, they left. Starting in the late 1830s, Norwegians came to America. Those who had a farming background headed to Norwegian settlements in the coulee country of southwest Wisconsin, the bluff country of southeast Minnesota and Iowa and then the fertile Red River Valley of Minnesota and North Dakota. Norwegians who fished headed for the shorelines of Door County and Minnesota’s North Shore. By 1915, Norway had lost 750,000 people to the United States, contributing, after Ireland, the highest percentage of its population to the new country. Norwegians often chose land that reminded them of home. They also tried to carry on their Norwegian traditions here in America. Each Christmas, Norwegian-Americans headed to the nearest Norsk deli to buy lutefisk that once was a staple for peasants in Norway. They grated potatoes for lefse, a flat peasant bread, and rolled thin butter cookies on krumkake irons for their holiday celebrations. There are more than 4.5 million people of Norwegian ancestry in the United States today. Norwegian Americans actively celebrate and maintain their heritage in many ways. Much of it centers on the Lutheran-Evangelical churches they were born into. Culinary customs, national dress, and Norwegian holidays (Syttende Mai, May 17) are also popular. Norwegian cuisine in its traditional form was based largely on the natural materials readily available in Norway and by its geography. Norwegian fare had a strong focus on fish and game. A gradual transition to American life weakened immigrant folkways. Some traditions and customs survived and were cultivated, others were reintroduced and given importance as a part of their ethnic heritage. Toward the end of the century, lutefisk became known as a Norwegian American dish. It was served at lodge meetings, festive banquets, and church suppers, most regularly during the Christmas season. Lutefisk is whitefish — which refers to several species of finned fish such as cod, ling, or burbot — that has been air-dried and may or may not be salted. It is first soaked in cold water for five or six days, with the water changed daily. The saturated fish is again soaked for two days in an unchanged solution of cold water and lye. Lye is a substance obtained by leaching ashes and is also known as sodium hydroxide. After this weeklong process, the fish loses half of its protein and gains a jelly-like consistency. At this point, it needs another four to six days of soaking in cold water, refreshed daily, before it is ready to be cooked. Since the saturated fish is quite delicate, a layer of salt is added about a half-hour before it is cooked. This releases some of the water being held in the fish. It is then placed in a sealed pan and steam cooked on low heat for 20-25 minutes, or wrapped in aluminum foil and baked at 435 degrees F for 40-50 minutes. Since Minnesota has a large population of Norwegian immigrants, lutefisk is quite popular in the Twin Cities and their surrounding areas. It can be served a number of ways, but some of the more common ones are with boiled potatoes, green peas, melted butter, small pieces of bacon, horseradish, or cheese. Aquavit is Norway’s famous exported liquor made from potatoes. Distillers flavor it with spice bags of caraway seeds or star anise. After the warm alcohol passes through the bags, it is aged in wood barrels. Cold-pressed, clear Aquavit isn’t aged but is served slightly chilled with herring, cold meat, and fatty dishes. Norwegians serve dark Aquavit, that has been aged for several years, after dinner. Here are some Norwegian American style recipes for you to make at home. Check to make sure all the fish bones have been removed. Season the fillets with the salt and white pepper. Lightly whisk the egg in a shallow bowl. In a separate bowl combine the breadcrumbs with ¼ teaspoon salt. Dip the fillets in the egg and then dredge in the breadcrumbs. Heat a large frying pan over medium-high heat and add the butter. Fry the fillets until they are golden brown. Place the fillets on a paper towel. Transfer the fish to a serving plate and drizzle with the lemon sauce. Place the lemon juice in a small saucepan over medium heat; bring to a simmer. Add cream; whisk to combine. Continue to cook until the cream reduces and is thick enough to coat the back of a spoon, 5 or 6 minutes. Reduce heat to low. Whisk in a few pieces of cold butter, stirring until the butter melts before adding more. Continue adding the butter a few pieces at a time until all the butter is emulsified into the cream. Add salt, cayenne pepper, and chopped parsley. Whisk until well blended. Keep sauce warm until ready to use. Norway has a long history with root vegetables. They are grown in many parts of the country and can generally be easily stored. Norwegians have favorites – like rutabaga, carrots, and potatoes – but more and more, others are being used more frequently in cooking, such as turnips, parsnips, and beets. Place carrots and parsnips in a large saucepan. Add water to cover and bring to a boil. Boil until very tender, 25 to 30 minutes. Drain well and return to the pan. 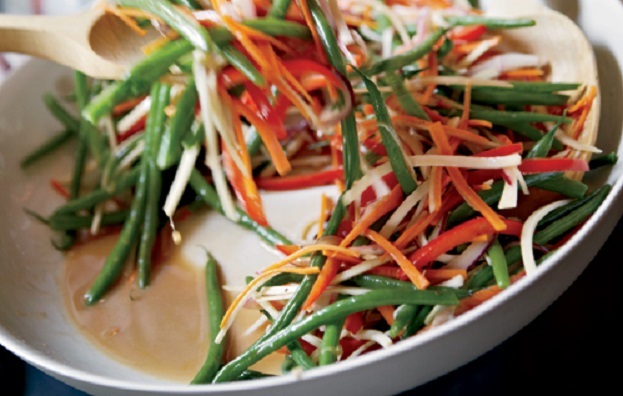 Use a potato masher or ricer to finely mash the vegetables. Add sour cream, 2 tablespoons chives, milk, butter, salt, and pepper. Cook over medium-low heat, stirring until heated through. Transfer to a serving bowl. Sprinkle with the remaining 1 tablespoon of chives. Stir together the vinegar, mustard, and salt in a small bowl until the ingredients are combined and the salt has dissolved. Whisking constantly, slowly pour in the oil and continue to whisk until emulsified. Gently stir in chopped dill and set aside. Steam green beans until tender. Drain. Arrange green beans in a serving dish and season with a little bit of salt. Pour the dill dressing over the green beans. Mix well and leave at room temperature until serving time. In a large bowl mix the butter into the brown sugar with a pastry blender until crumbly. If using frozen rhubarb, dry on paper towels after draining. Stir the rhubarb into the brown sugar and butter. Divide the mixture evenly into a well greased 12 cup muffin pan. Do not use muffin papers. Set this aside. In a large bowl of an electric mixer combine the butter and sugar until creamy. Add in the egg and mix until well combined. In a separate bowl combine the flour, baking powder, salt, and nutmeg. Once blended, add to the creamed butter mixture in small amounts alternating with the cream. Spoon the batter mixture evenly over the rhubarb layer in the muffin cups. Bake for 15-20 minutes until the top of the batter is golden brown. Remove from the oven, set on a cooling rack and let cool for 5 minutes. Place a serving dish on top of the muffin pan and flip the two over so that the bottom of the buns are right-side up. Overeating or overindulging – especially over a few days – can make you feel sluggish. 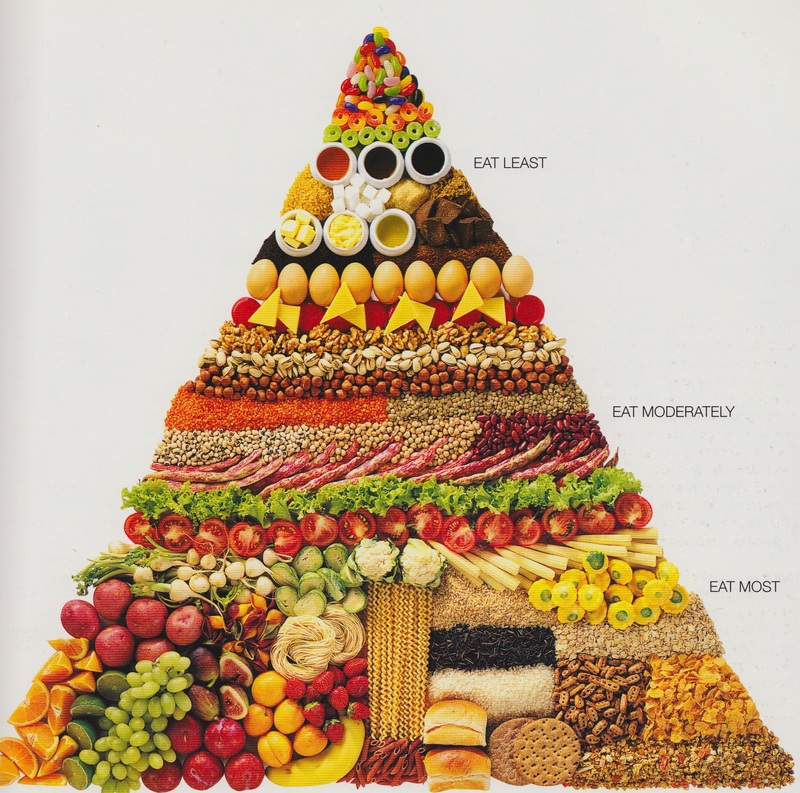 Eating and preparing all your meals and snacks at home for the next few weeks will help you get back to healthy eating. Making meals at home gives you the freedom to add in lots of lean protein, fruits, vegetables and whole grains without added salt or fat that can be found in restaurant meals. In addition to cooking meals at home, use cooking techniques and methods that are lower calorie or lower fat. Cooking in a lot of oil or butter or using higher fat, higher calorie ingredients may only perpetuate your overindulgence. To make home cooking easier, go to the grocery store and stock up on your favorite healthy foods. Try to purchase: lean protein, low-fat dairy, whole grains, fruits and vegetables. Healthy choices will be in your refrigerator or pantry when you need them. 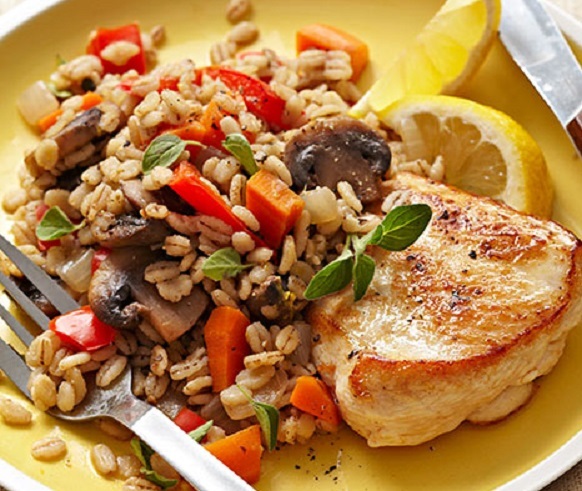 Here are some healthy and lower calorie dinners to help you get started. Place broth, smashed garlic and potatoes in a large pot, cover and bring to a boil. Reduce the heat to medium and simmer, covered, 10 minutes. Add eggplant or zucchini, carrots and the salt and pepper. Simmer for 8 to 10 minutes, stirring occasionally or until the vegetables are tender. In a small bowl, combine mustard, dill, minced garlic and olive oil. Place pork chops in the prepared baking dish and spread tops with an equal amount of mustard and dill mixture. Sprinkle bread crumbs over each chop. Bake for 15 minutes or until an internal temperature registers 145 degrees in the center of the pork. 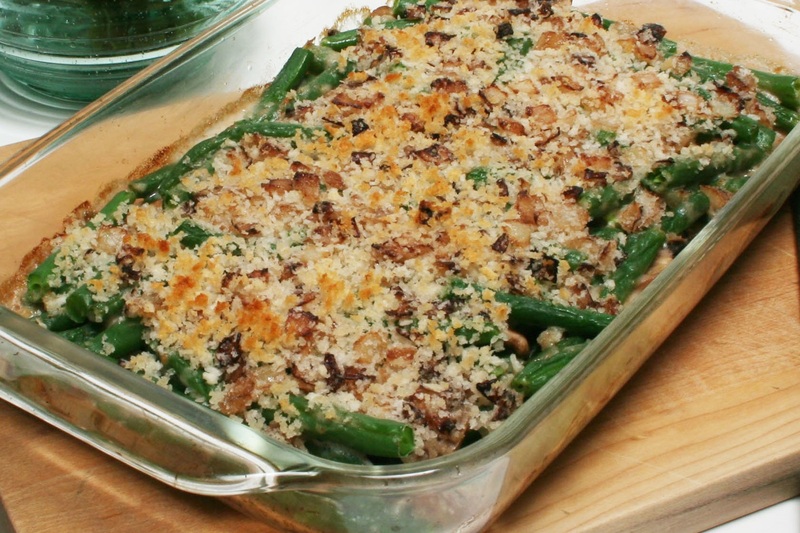 Place the baking dish under the broiler for 1 minute until the crumbs are brown. Serve pork with the vegetables. Choose any fruit in season or the kind of fruit you like. 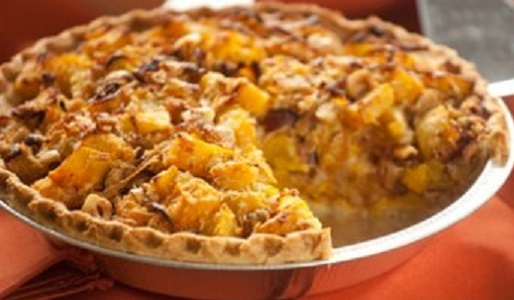 Heat the oven to 450 degrees F. Coat a glass baking dish with nonstick cooking spray. Pit nectarines, peaches and plums; dice and place in medium-size bowl. Add onion, bell pepper, lemon juice, parsley, oil and 1/4 teaspoon of the salt. Gently stir; cover and refrigerate until ready to serve. In a small bowl combine the lemon zest, black pepper, thyme and oregano. Cook the brown rice or couscous following package directions. Stir in half the lemon zest mixture and 1/4 teaspoon salt. Cover and set aside. Place cod in the prepared baking dish and season with the remaining half of the lemon zest mixture and 1/4 teaspoon of salt. Bake for 15 minutes or until cooked through. 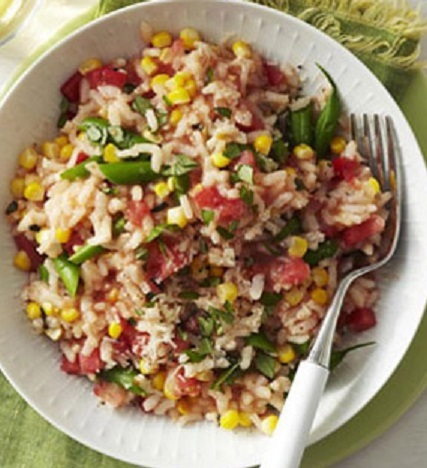 Place brown rice or couscous on a serving plate, top with the cod and fruit salsa. Bring a large pot of lightly salted water to boiling. Add pasta and cook al dente. Drain. Heat 1 tablespoon of the oil in a large nonstick skillet over medium high heat. Add the sausage and cook 3 minutes, turning a few times, until browned. Remove the sausage with a slotted spoon to a bowl. Reduce heat to medium and add the remaining 1 tablespoon oil and the garlic. Cook 30 seconds. Stir in tomatoes and salt and cook 2 minutes. Stir in chicken broth, peas and browned sausage. Heat through. Place cooked pasta in a large bowl. Add sausage mixture and half the Parmesan. Toss to combine. Top with remaining Parmesan and serve. Corn muffins would go quite well with this dinner. Heat oil in a large saucepan over medium-high heat. Add onion and garlic; cook 3 minutes, stirring occasionally. Add ground turkey, if using, and cook until brown. Omit this step if you want a vegetarian meal. Add butternut squash, parsnips, rutabaga and carrots. Cook 5 minutes, stirring occasionally. Add green pepper, tomatoes, chili powder, oregano and cumin. Simmer on medium heat, partially covered, for 25 minutes, stirring occasionally. Add beans and heat through. Stir in the scallions. Serve lime wedges on the side. Friday night can still be pizza night. Coat a large rimmed baking pan with nonstick cooking spray. Place tomatoes, mushrooms and scallions in the prepared baking pan and toss with the olive oil. Season with salt and pepper and bake for 30 minutes. Remove the pan from the oven and toss the vegetables with the basil and oregano. Stretch the pizza dough out on a rectangular baking sheet. Spoon the vegetable mixture over the top. Bake for 10 minutes and remove the pan from the oven. Scatter the diced cheese over the pizza and return the pan to the oven. Bake for 5 to 10 minutes more or until the pizza is crispy. Allow to cool slightly before slicing. Making one dish meals can be a very economical way of preparing delicious and healthy meals. This type of dinner is especially desirable for busy people. It is really very easy and doesn’t take a great deal of time. 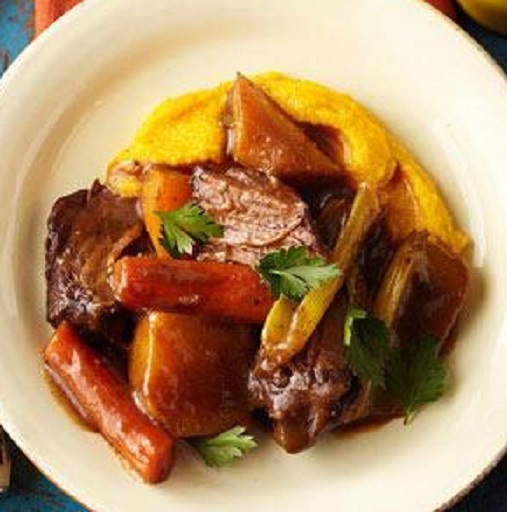 The term one-pot meal is almost synonymous with crock-pot dinners, hearty stews and pot roasts coming to mind; however there are plenty of lighter and faster variations to this concept. A one dish meal need not require hours and hours of cooking, but may be as simple as a stir-fry or a summer pasta with vegetables and seafood. In a deep large skillet bring 2 inches of water to boiling. 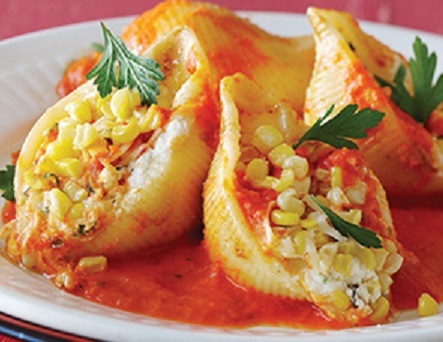 Add tortellini; cook for 7 to 8 minutes or until tender, stirring occasionally. 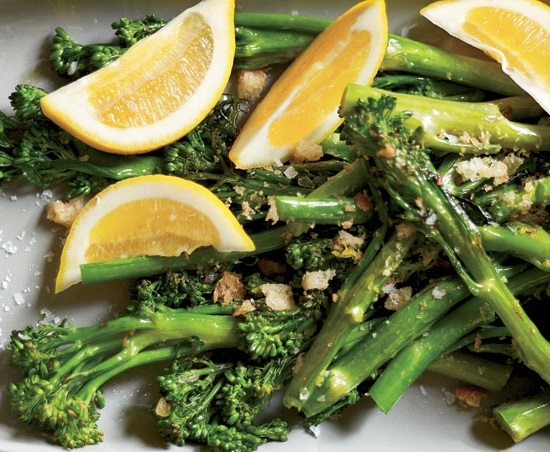 Stir in broccoli; cook for 2 minutes or until the broccoli is crisp-tender. Drain in colander. 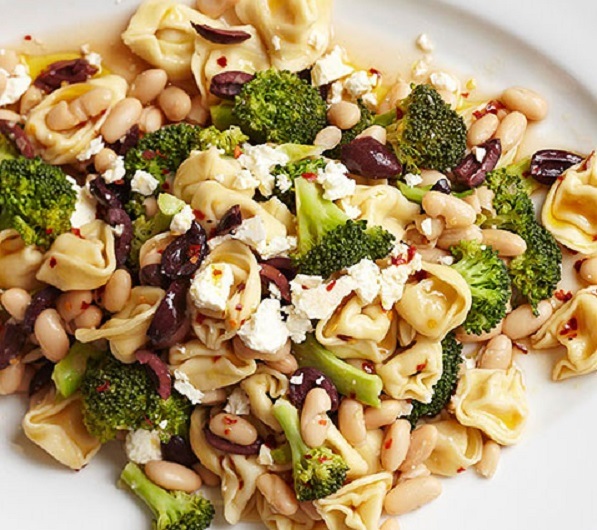 Return tortellini and broccoli to the skillet. Stir in beans, olives, oil, vinegar and red pepper. Heat through. Sprinkle with tomatoes, feta and basil. Serve in pasta bowls. 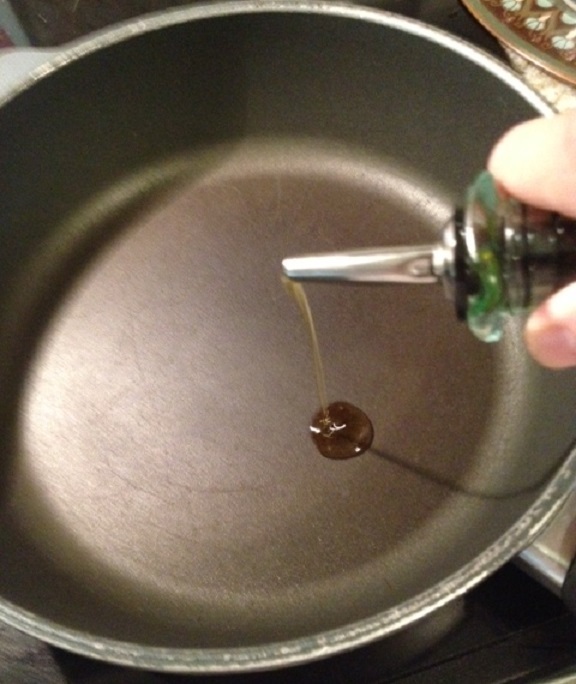 Brush the oil over the bottom of a large deep skillet with a cover. Rinse and pat the salmon dry with paper towels. Place salmon in the skillet, tucking under any thin edges. Sprinkle the salmon with the garlic. In a small bowl stir together mustard, honey, vinegar and dill and transfer 2 tablespoons of the mixture to another small bowl to serve later. Stir the onion, broth and mustard mixture together and pour over the salmon. Cover and bring to a slow boil, reduce heat to medium and poach until the salmon flesh is firm, about 12 to 15 minutes. Stir the reserved 2 tablespoons of mustard mixture into the chard mixture. 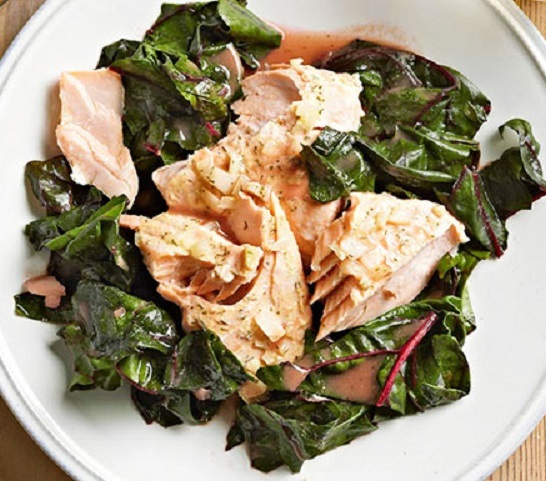 Spoon the chard onto the platter with the salmon. In a large skillet with a cover, heat the oil over medium-high heat. Sprinkle turkey cutlets lightly with salt and pepper and place in the skillet. Cook for 4 to 6 minutes or until browned and no longer pink, turning once. Remove turkey from the skillet; set aside on a platter and cover with foil..
Add the mushrooms, onion, carrot and bell pepper to the skillet and stir for 3 to 4 minutes or until tender. 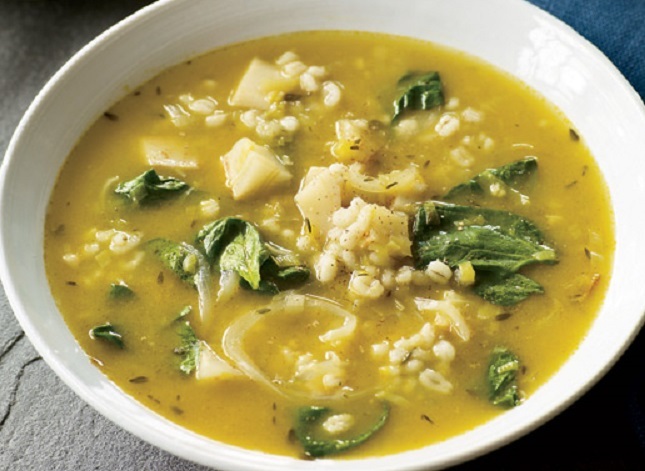 Stir in broth, barley and oregano. Bring to boiling; reduce heat. Cover and simmer for 10 to 12 minutes or until barley is tender and liquid is nearly absorbed. Stir in lemon peel and 1/4 teaspoon each of salt and black pepper. Return turkey cutlets with any accumulated juices to the skillet. Cover and cook for 1 to 3 minutes or until heated through. Adjust salt and pepper seasoning to taste. 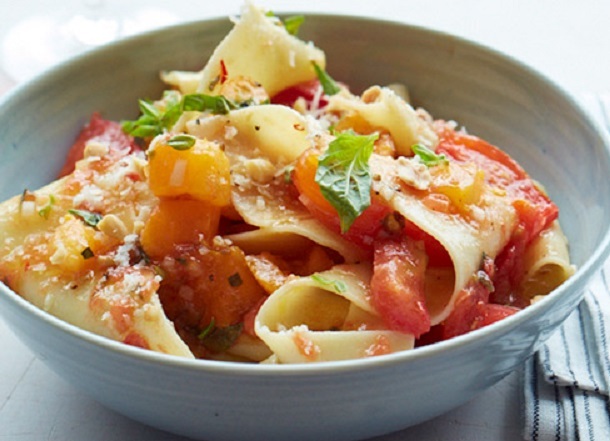 Garnish with additional fresh oregano and serve with lemon wedges. Place rack in the center of the oven. Preheat oven to 400 degrees F.
Add carrots to the pan. Cook and stir until browned at the edges, about 5 minutes. Add the chickpeas and 1/2 teaspoon salt. Cook for 1 minute more. Using a spatula, make two wide spaces through the vegetables. 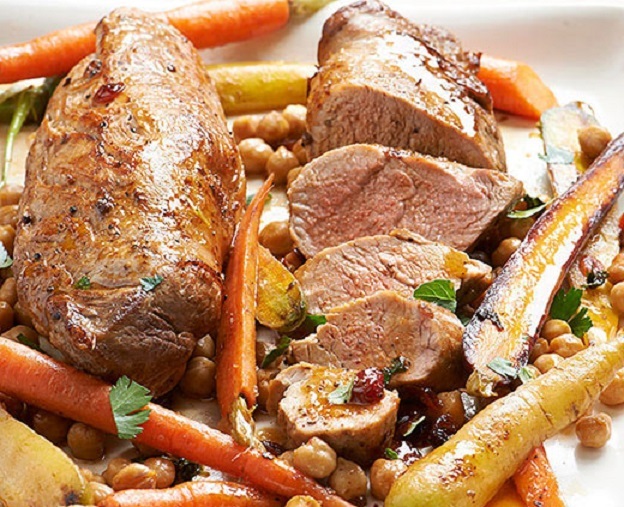 Place pork tenderloins in the spaces so they rest directly on the pan surrounded by the carrots and chickpeas. Transfer the pan to the oven. Roast 10 to 15 minutes or until an instant read thermometer inserted into the center of a tenderloin registers 145 degrees F. The center should be rosy when cut into with a knife. Transfer the pork to a carving board; tent loosely with aluminum foil. Let rest for 10 minutes. Carefully place the pan with the vegetables over medium heat on top of the stove. Add orange juice, wine or broth, brown sugar, fennel and paprika; mix well. Bring to a simmer and cook, stirring occasionally, until the sauce is reduced by half, about 3 minutes. Stir in butter, parsley and oregano. Season to taste with salt. To serve, cut the pork on a slight diagonal into slices 1-inch-thick. 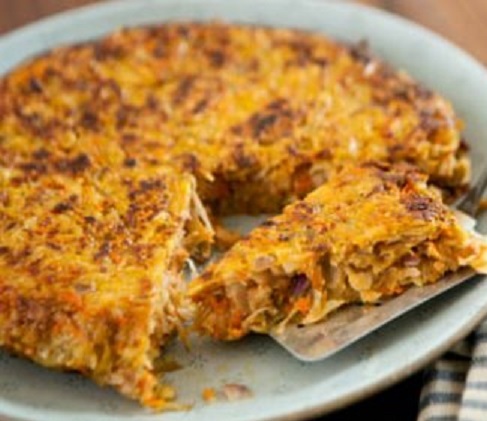 Serve with roasted vegetables. 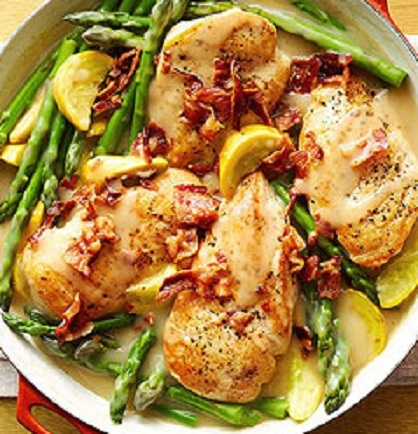 In a 12-inch skillet brown chicken and pancetta in olive oil over medium-high heat, turning chicken to brown evenly. Add garlic, asparagus and squash. Sprinkle chicken and vegetables with Italian seasoning, salt and pepper. Saute for 5 minutes. Carefully add broth; cover and cook 10 minutes or until chicken is tender and no longer pink (165 degrees F) and vegetables are tender. Transfer mixture to a serving platter and top with sliced green onions. Just because the farmers’ markets are closed for winter doesn’t mean you have to do without fresh veggies at the dinner table. Unfortunately, in the winter months, we often retreat from fresh produce, thinking it’s not as available or as tasty. From hearty root vegetables to bright, sweet citrus, winter produce delivers a surprising range of flavorful fruits and vegetables for you to cook. 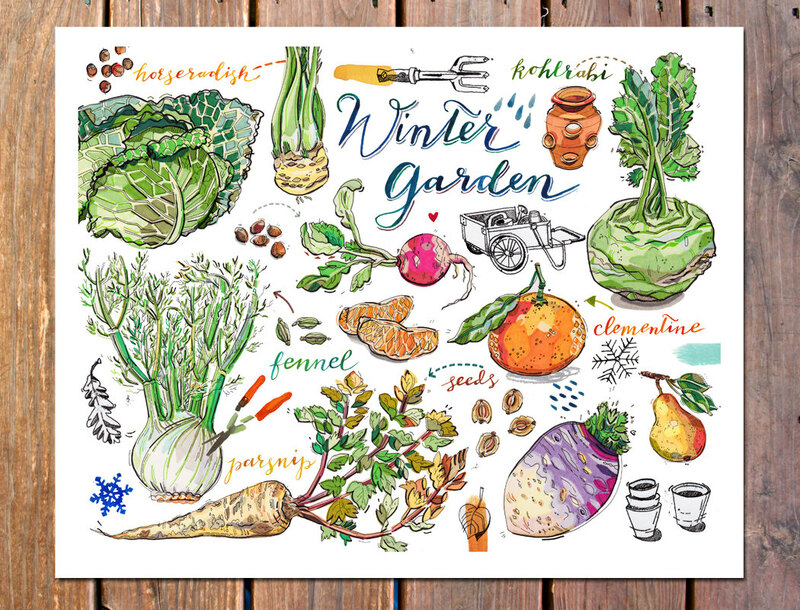 You may be surprised by how many locally grown root vegetables and cabbages are available from cold storage and how many greens are coming out of local cold frames and greenhouses at this time of year. 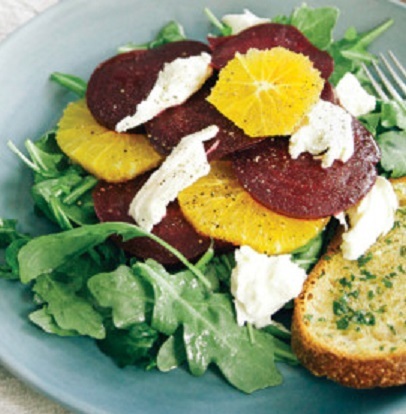 Here are some recipes from appetizers through dessert that use winter fruits and vegetables. In a large pot, heat the oil. Add the onion, leeks and garlic and cook over moderate heat, stirring occasionally, until tender, about 5 minutes. Stir in the barley. Add the vegetable broth, water, thyme and bay leaves and bring to a boil. Add the celery root and parsnips and season with salt and pepper. Simmer over moderately low heat until the barley and root vegetables are tender, about 40 minutes. Stir in the spinach and nutmeg and simmer for 5 minutes. Season the soup with salt and pepper to taste and serve in deep bowls. Using a very sharp paring knife to peel the grapefruits, carefully removing all of the bitter white pith. Over a mixing bowl, carefully cut in between the membranes of the grapefruit sections and let them drop into the bowl. Stir in the pickled cocktail onions and parsley leaves and season with pepper. Pat the sea scallops or shrimp dry and season them all over with salt. In a large nonstick skillet, heat the olive oil until it is shimmering. Cook the scallops over moderately high heat, turning once, until they are browned and just cooked through, about 4 minutes total. 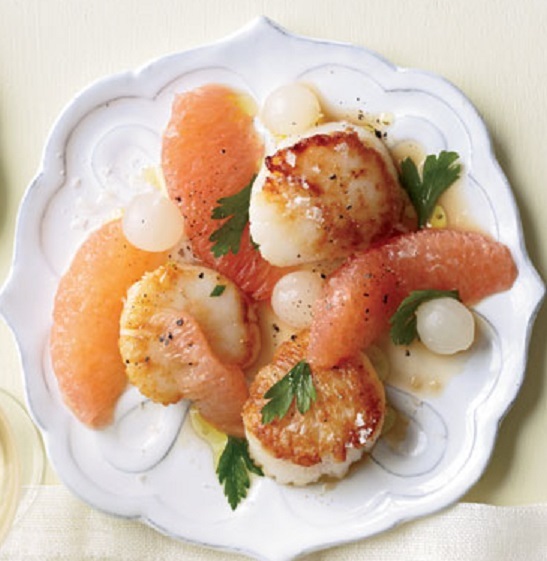 Spoon the pickled onion and grapefruit salad onto small serving plates and arrange the scallops around the salad. Drizzle with additional olive oil and serve at once. Preheat the oven to 350°F. 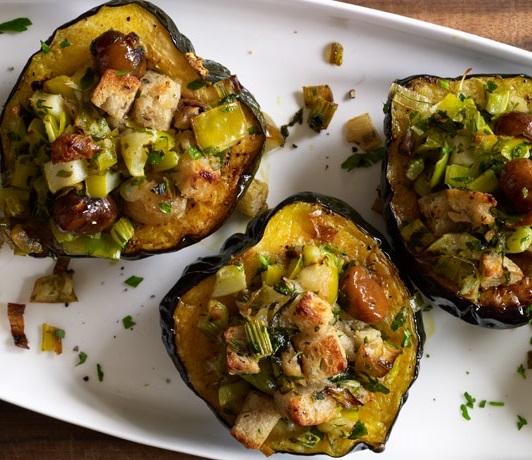 Brush the cut sides of the squash with olive oil and season the cavities with salt and pepper. Place the squash cut side down on two baking sheets covered with parchment paper and roast for about 25 minutes, until just tender. In a large skillet, melt the butter in the 1 tablespoon of olive oil. Add the celery, leeks and a generous pinch each of salt and pepper and cook over moderate heat, stirring occasionally, until softened, about 8 minutes. 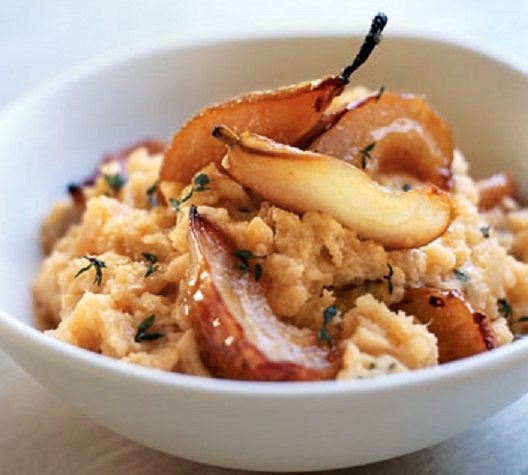 Add the apples and thyme and cook over moderately high heat until the apples just start to soften, about 5 minutes. Scrape the mixture into a large bowl. Add the bread, chestnuts, parsley, cream and stock and toss well. Season with salt and pepper. Preheat the oven to 325 degrees F. Trim fat from beef. Cut meat into 1 1/2-inch pieces. In an ovenproof 4-quart Dutch oven heat 1 tablespoon of the oil over medium heat. Cook meat, half at a time, until browned, stirring frequently. Remove meat from the Dutch oven. In the same Dutch oven cook celery, carrots, parsnips and onion in the remaining oil for 5 to 7 minutes or until the vegetables start to brown. Stir in wine and rosemary. Add the 1 1/2 cups water, beef broth and Kitchen Bouquet; cook and stir over medium heat until boiling, stirring to scrape up any browned bits from the bottom of the Dutch oven. Place pan, covered, in the oven and bake about 2 hours or until the meat is very tender. In a medium saucepan combine milk and 1/4 cup water; bring to boiling. In a medium bowl stir together the 1 cup cold water and polenta or cornmeal. Slowly add the polenta mixture to the boiling milk mixture. Reduce heat to medium low. Stir in squash, salt and pepper. Cook for 25 to 30 minutes or until mixture is very thick, stirring frequently, and adjusting heat as needed to maintain a slow boil. Stir together the 1/4 cup cold water and flour. Add to the meat mixture. Cook and stir over medium heat until thickened and bubbly; cook and stir for 1 minute more. Spoon soft polenta into shallow serving bowls. Top with braised meat and vegetables. Sprinkle with parsley leaves. Heat a 9-inch round cake pan over medium heat and coat the pan with cooking spray. Add brown sugar and the 2 tablespoons butter to pan, stirring until melted. Stir in ginger; cook 1 minute, stirring constantly. Remove from heat; arrange cranberries on top of the brown sugar mixture. Lightly spoon flour into a dry measuring cup; level with a knife. Combine flour, baking powder and salt. Combine 1/4 cup butter and granulated sugar in an electric mixer bowl; beat at high speed until fluffy. Add egg yolks, 1 at a time, beating well after each addition. Add the flour mixture and milk alternately to butter mixture, beginning and ending with the flour mixture; mix well after each addition. Beat in vanilla. 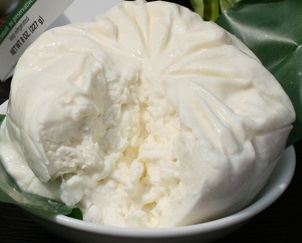 Beat egg whites and cream of tartar with a mixer at medium speed until stiff peaks form in another bowl. Fold egg whites into batter; pour batter over cranberries in the prepared cake pan. Bake for 55 minutes or until a wooden pick inserted in the center comes out clean. Cool in the pan 15 minutes; run a knife around outside edge. Place a plate upside down on top of the cake pan; invert cake onto plate. “Root vegetable” is a relatively generic description of vegetables, including starchy ones, that grow underground. 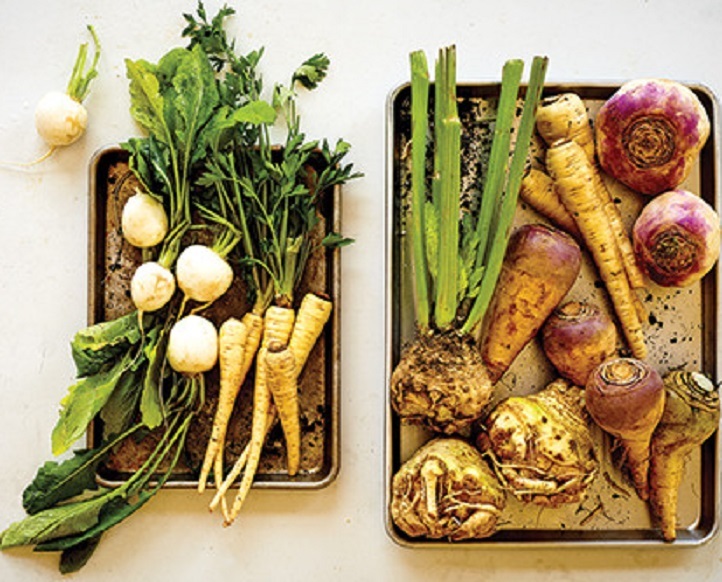 To make matters more confusing, root vegetables aren’t always roots. Some are actually bulbs instead, like onions, garlic and shallots. Many people may differentiate onions and garlic as more of a spice than a vegetable, but they really should be grouped in the “root vegetable” category. 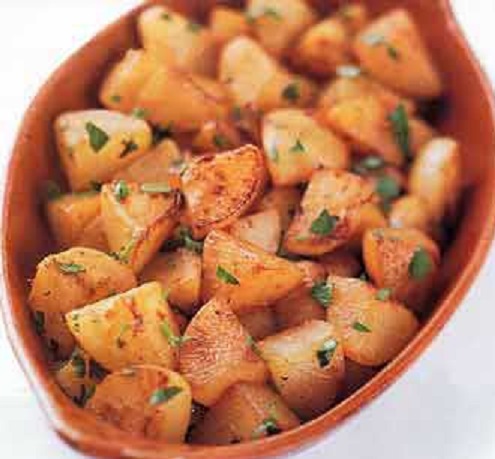 Potatoes are usually labeled as tubers and, again, most people think of them as more of a starch than a vegetable. Despite that, they are part of this category. Plenty of other vegetables fall into this group, as well, and include these well known vegetables: sweet potatoes, carrots, beets and leeks to name just a few. However, here are a few that you may not know much about. These vegetables are in season in the fall. 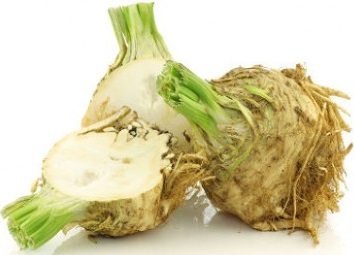 Celeriac, also known as celery root, has a delicate celery taste. You can grate it, saute it, use it in soups or eat it raw in a salad. 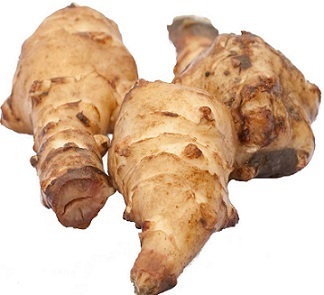 It is filled with fiber, vitamin B, vitamin C and vitamin K.
Jerusalem artichokes (sunchokes) are neither an artichoke, nor are they from Jerusalem. They are the tubers of sunflowers and probably derive their name from the Italian for sunflower, girasol. They have a crisp, nutty flavor, especially when sautéed. They can be roasted, pickled and they are excellent in soups. They also make a great substitution for potatoes. Parsnips resemble white carrots and are naturally sweet. They can be used in soups and stews and are particularly delicious roasted. Parsnips have more vitamins than their carrot cousin and they have lots of potassium. 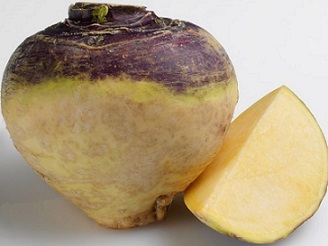 The rutabaga was originally a cross between a cabbage and a turnip. You can roast them, mash them or add them to soups.They contain a good portion of your daily vitamin C requirement. 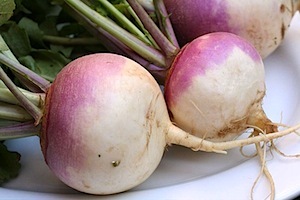 Turnips are part of the mustard family, as are horseradish, radishes and rutabagas. They can be roasted, mashed or used in stews and soups. So what can you make with these vegetables? Position 1 rack in the bottom third of the oven and 1 rack in the center of the oven and preheat to 400°F. Spray 2 heavy large baking sheets with nonstick spray. Combine all remaining ingredients except garlic and parsley in very large bowl; toss to coat. Season generously with salt and pepper. Divide vegetable mixture between the prepared sheets. Place 1 sheet on each oven rack. Roast 30 minutes, stirring occasionally. Reverse positions of baking sheets. Add 5 garlic cloves to each baking sheet. 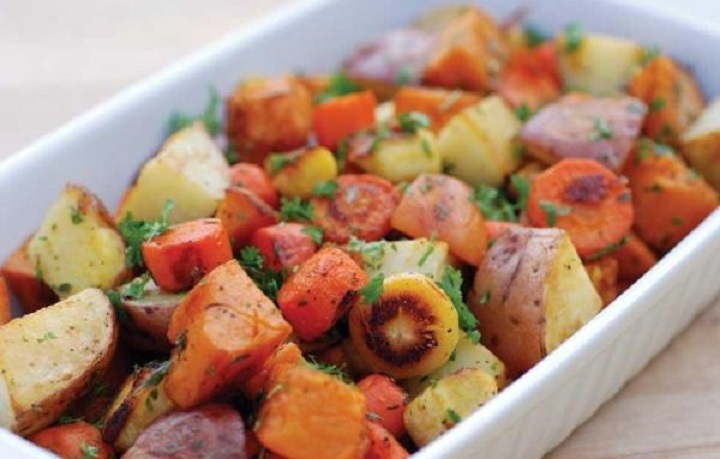 Transfer roasted vegetables to large serving bowl and garnish with chopped parsley. Melt 1 tablespoon butter with the olive oil in large nonstick skillet over medium-high heat. Add Jerusalem artichokes and half of the sage. Sprinkle with salt and pepper. Sauté until brown and just beginning to soften, turning frequently, about 10 minutes. Using slotted spoon, transfer Jerusalem artichokes to a shallow serving bowl. Add remaining 2 tablespoons butter and sage to the skillet; cook until sage darkens and begins to crisp, about 30 seconds. Add lemon juice; simmer 1 minute. 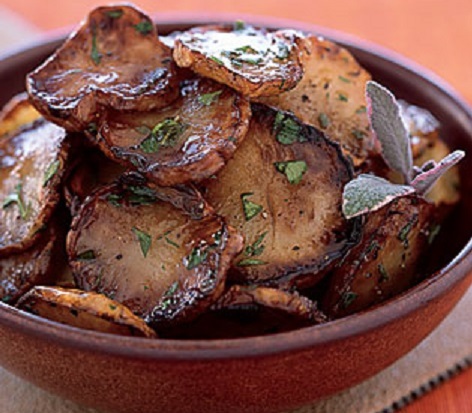 Pour lemon-sage butter over Jerusalem artichokes in the serving bowl, tossing to coat. Season with salt and pepper. Sprinkle with parsley. 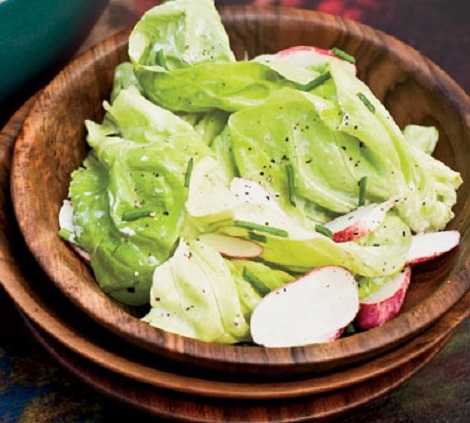 Cook rutabagas in a pot of boiling salted water until tender, about 35 minutes. Meanwhile, preheat oven to 400°F. Spray a large rimmed baking sheet with nonstick spray. Combine oil, lemon juice, ginger and sugar in large bowl. Add pears; toss to coat. Spread on the prepared baking sheet. Roast until tender, turning pears every 10 minutes, for about 30 minutes total. Drain rutabagas; return to the same pot. Mash into a coarse puree. Stir over medium heat until excess moisture evaporates, 5 minutes. Add cream, butter and thyme. Mix in pears and any juices from the baking sheet. Season with salt and pepper and grate nutmeg over the top. Peel turnips, then halve horizontally and quarter halves. Arrange turnips in one layer in a 12-inch heavy skillet and add water or broth. Add butter, honey and salt and bring to a boil over moderately high heat, covered, stirring occasionally. Uncover and cook stirring, until tender and liquid evaporates, about 5 minutes more. Reduce heat and sauté until golden brown, about 5 minutes. Add 3 tablespoons water or broth and stir to coat turnips with the glaze. Sprinkle with parsley and serve. Trim the rough skin from the celery root and peel. Cut the celery root into very thin slices; stack slices and cut into thin lengthwise strips 1/8-inch-wide (about 2 cups). Combine the sliced celery root, beans, arugula, balsamic vinegar, 2 tablespoons oil, lemon juice and 1/4 teaspoon each salt and pepper in a medium serving bowl. Heat 2 tablespoons oil in a large nonstick skillet on medium-high heat and add garlic and shrimp; sprinkle with 1/2 teaspoon salt and 1/4 teaspoon pepper. Cook and stir 2-4 minutes or just until the shrimp begin to turn pink. Add shrimp (and pan juices) to the salad; toss to blend and serve.